10 in. x 13 in. 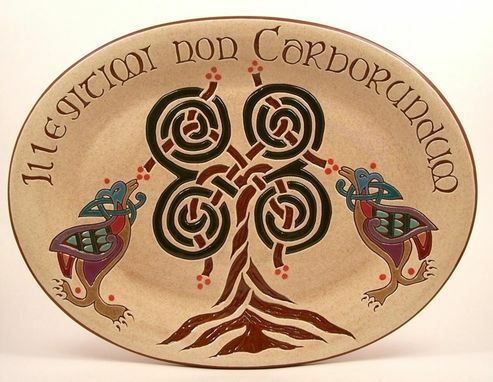 Celtic Tree Platter with Brown Sugar glaze - Tree designed by Catherine Crowe.